A home with two dormer windows and a winding red carpet driveway to the steps of the house. On white. 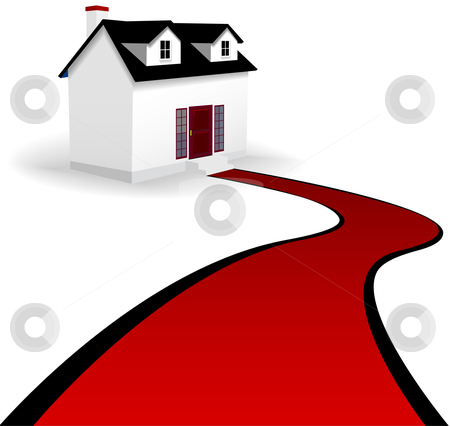 Description: A home with two dormer windows and a winding red carpet driveway to the steps of the house. On white.